Who wants a fitness band? 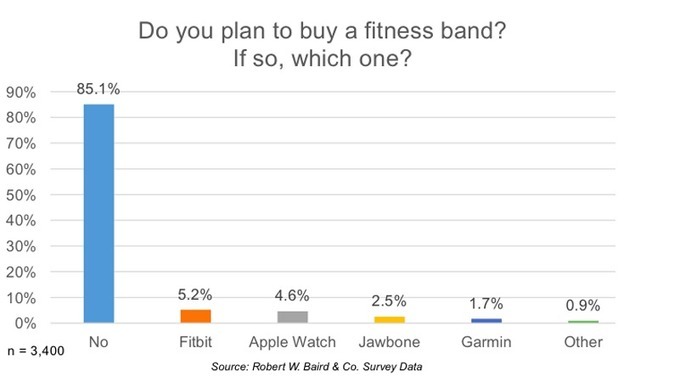 The Apple Watch’s competition isn’t FitBit, Jawbone, Garmin or others. The competition is non-consumption.